Shandong China Transport Logistics Equipment Group Co., Ltd, hereinafter referred to as Shandong China Transport Group, registered capital 50 million, which is a collection of scientific research, design, production, processing, marketing, logistics and transportation as one of the large modern manufacturing enterprises. 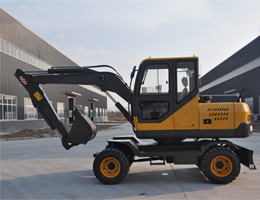 The group mainly engaged in large-scale construction machinery and equipment, railway equipment, construction machinery, road transport equipment, shipping equipment, aviation equipment and other products, with annual sales of 500 million. 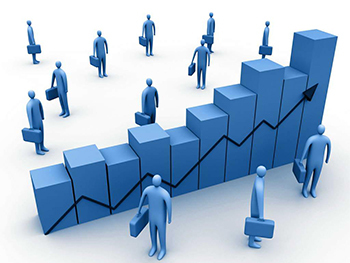 In recent years, Shandong China Transport Group respond positively to the call of the state, continuous innovation in the sales model, vigorously develop e-commerce B2B platform construction, independent development and operation of a large domestic travel trade e-commerce service platform--www.cccjyw.com, currently registered members reached 100 thousand, cumulative trading of large vehicles more than 60 thousand, more than 30 thousand ships, total transactions amounted to 3 billion 500 million. Through e-commerce sales model, the successful production and operation of various types of products sold to 34 provinces and autonomous regions and the more than and 100 countries and regions all over the world, in the international launch of the brand in Shandong ZhongYun! In 2014, with the outstanding achievements in the development of e-commerce in Shandong, Shandong China Transport Group was named as the Shandong e-commerce demonstration enterprise. 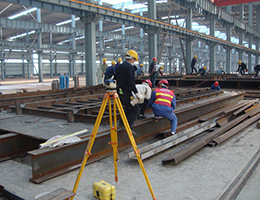 For many years, Shandong China Transport Group strictly adhere to the product quality management system to control the products quality, adhere to brand competitiveness, has made the "DaZhongYun" "ZhuiYun" "ZhuFeng" "ZhuiTao" trademark, maintaining the group intellectual property and brand image, speeding up the development of the brand in Shandong. At present, our group has successfully passed the international ISO9001 quality management system certification to ensure the stability of product quality. 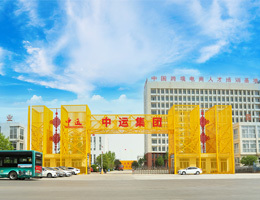 Over the years, Shandong China Transport Group has been adhering to the business philosophy of "quality of survival and development by service", to win the praise of many enterprises at home and abroad with the quality of products and service, and establish a good brand and the great influence of "ZhongYun". Facing new forms and new opportunities，we will always carry forward the spirit of innovation, pragmatic and efficient cooperation in the spirit of enterprise, strive for a better tomorrow for China''''''''s machinery and equipment industry！Warmly welcome new and old customers at home and abroad to visit us, Shandong China Transport Group is willing to work with you hand in hand to create a better future! Shandong China Transport Group actively participate in social construction, environmental protection, building a harmonious society has made due contributions. All the time, Shandong Transport Group will treasure the environment as their own duty, to build a green logistics system. Improve fuel efficiency and reduce exhaust emissions by optimizing transportation routes, and use advanced technology to improve operational efficiency. In the face of disaster, Shandong China Transport Group to take up the burden, donated money and materials to the disaster areas and poor areas, and carrying a large amount of material. Shandong China Transport Group also provides logistics services for major sports events and major cultural events, make contributions to people''s health and cultural life. 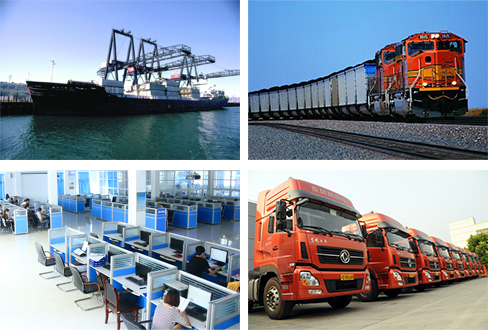 Through the joint efforts of all employees of Shandong China Transport Group, we provide high quality logistics services for all customers, so as to promote the continuous development of social economy.